This post comes to you with a soundtrack! 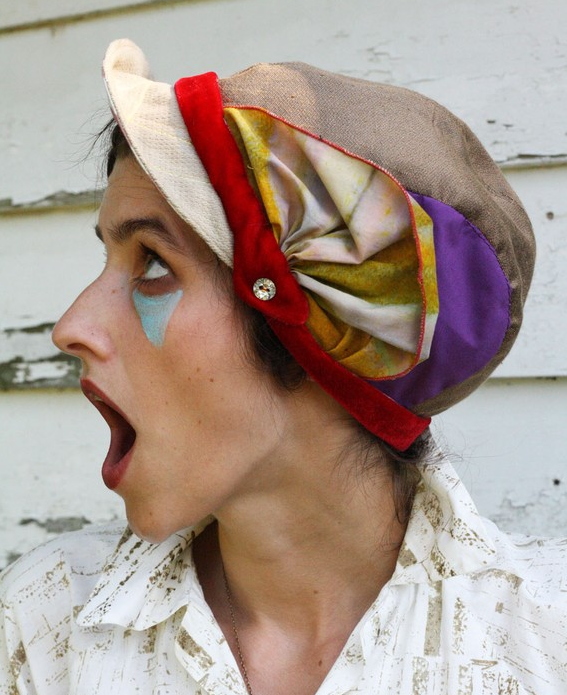 So hit the play button on the CocoRosie performance above and read on. 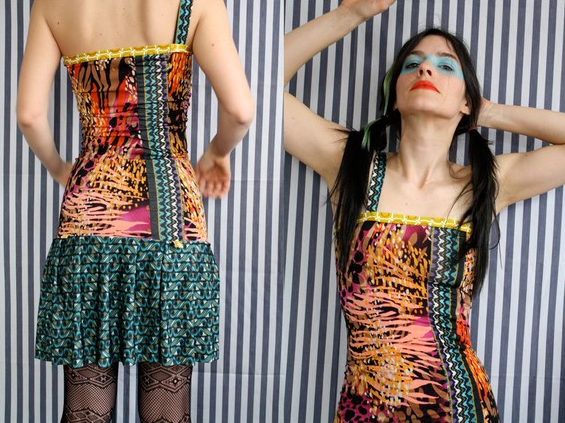 When I first saw the work of Mia Kunyo — BeWakeful, on Etsy– I honestly thought I’d stumbled on the secret clothing design business of Sierra Cassady, the “Rosie” half of sister-duo CocoRosie. First of all, Mia (who models much of her work in her charming photos) possesses the same classic beauty and looks like Sierra’s long lost twin, but more importantly, her imaginative freaky clothing designs, as well as her colorful styling (crayola tribal warpaint! )… instantly put me in mind of the childlike playfulness of a band I obsessed over for many months! 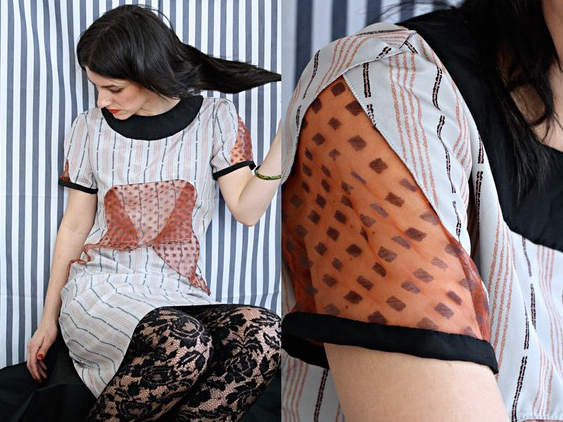 Mia’s work is so original and fun, the dress pictured above is flirty-cool. Hats, too! Visit Mia and check out her entire adorable line of goodies which include handmade tights, unitards, and collars among other things. 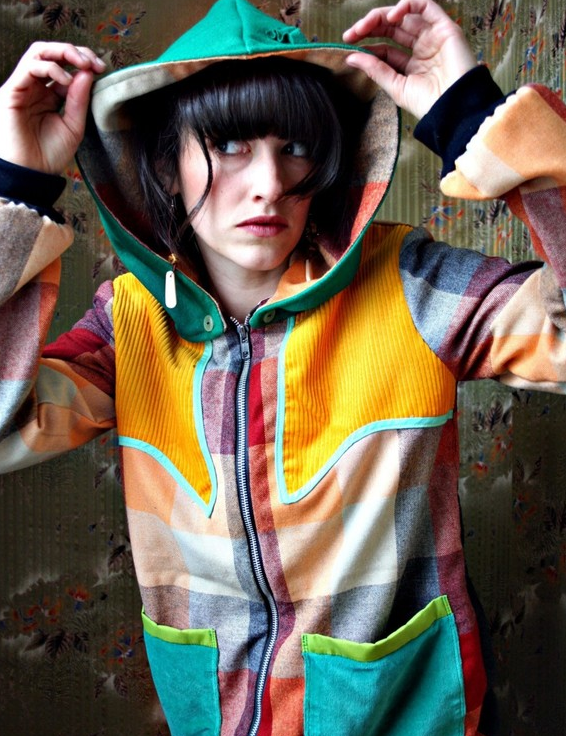 This week one of my FB buds posted a video by Sia, who I had somehow missed hearing about, and I’ll leave you with this amazing video, the styling for which immediately brought to mind the BeWakeful shop, CocoRosie, etc. You’ll need to get through ads on this next one, but trust me, it’s worth it. Spine-chilling good stuff.